One of the common themes in ancient Greek art and philosophy is proportionality. For the Greeks, proportionality was the idea that there was an optimal mix of qualities or virtues that, properly harmonized, promoted human flourishing. We see and experience this idea in the beautiful statues and architecture that have survived in Ancient Greece. The idea of proportionality is a theme throughout Plato’s dialogues, especially The Republic, and Aristotle’s virtue ethics is constructed around the idea of a golden mean or “middle state” between two extremes. 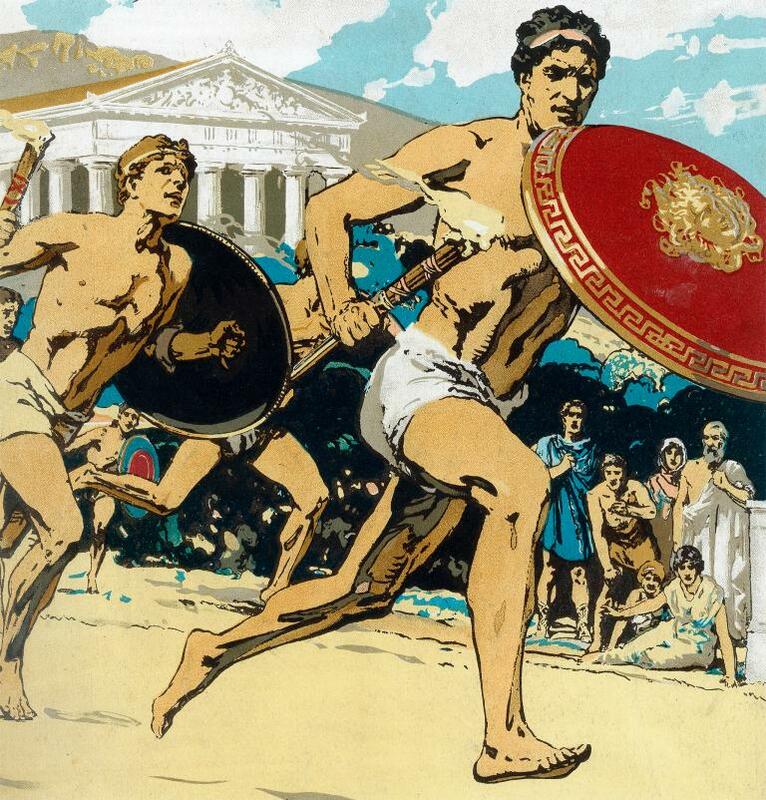 Another fine example of this idea is embedded in the ancient Olympic games. One of the competitions, know as the Lampadedromia, involved a relay race of runners carrying torches. The challenge was to win the race without extinguishing the torch. This meant it usually wasn’t the fastest runners that won, but those adept at running just fast enough (the right proportion) not to extinguish the torch in the wind while getting to the finish line first, before the torch oil ran out. The idea handed down through the ages suggest that success, beauty, happiness and good judgment are very much the results of a wise proportionality. Blessed ancient wisdom and one fundamentally important rule of life we desperately need to recover particularly in the U. S. To walk the via media will not prove devoid of troubles ~ or pot-holes along the way, so to speak ~ but in the end it does prove far more beneficial, i.e. one is more likely to reach the life-goal with one’s flame still burning brightly. Thank you, Jeff! Thanks Jon! We have much to learn from those ancient texts!